So I’ve been slacking lately, I know, I know… I’d love to say I was somewhere exotic climbing glaciers or diving the Great Barrier Reef or something, but it’s not that exciting. Just work, life, work, work and more work getting in the way of enjoying some fine cigars! But I managed to sneak in some time for a Quick Draw this week on the Montecristo Epic from Altadis Cigars. 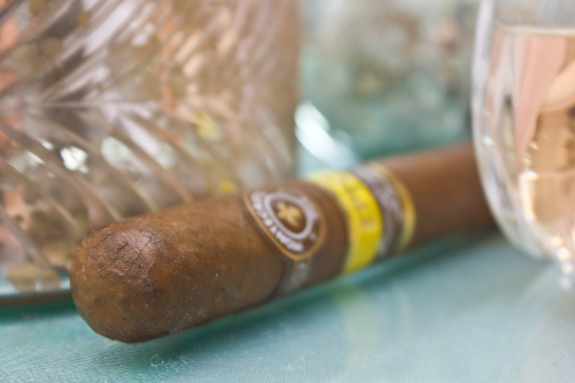 The full name of this cigar is the Montecristo Epic Premium Selection ’07 and it was released about announced about a year ago in June 2012. Tony also did a full review on it not too long ago, read his thoughts over here. I’ve had the chance to light up a few of these so I thought I’d take the time to jot down some of my own notes on it as well and share it with our fine readers. Now I’ve been a long-time critic of Altadis’ cigars in general but the last few newer releases have started to sway my opinion to the better side. The dark Ecuadorian Habano wrapper on this cigar does help it’s case, it is super oily and toothy and looks awesome. 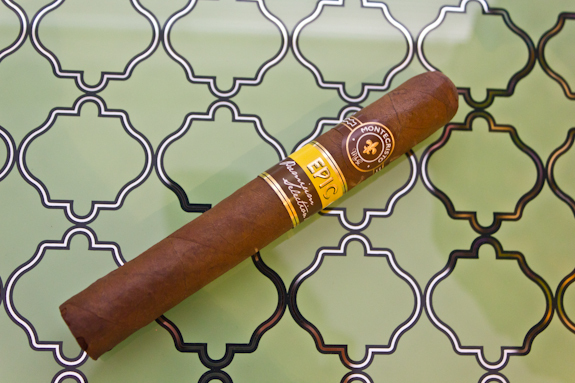 The aroma of the Montecristo Epic gives a nice cedar note on the nose and just a touch of spice in there. It’s topped off with a super clean cap and a well packed foot. Lighting the cigar was a breeze and I had a nice glowing foot in no time at all. Smoke production on this bad-boy was also pretty hefty, pumping out some pretty big plumes through a nice and even draw. The flavors started out pretty exciting and interesting with lots of cedar backed by some peppery spices and a sort of dark fruity note. As the smoking continued, the fruity and spicy notes seemed to fade away and I was left with the cedar and some new instances of leathery notes. I had a few burn issues I needed to tackle but none were major and didn’t ruin the experience much. Body stayed at around medium and the retrohale started off with a nice bite to it but ended up being mostly bland near the end with a bit of a cedar finish. As I stroll into the last 3rd I’m getting some espresso notes sneaking in here and the body is definitely jumping into the full range. I was able to get the Montecristo Epic down to a good sized nub before I put it down. 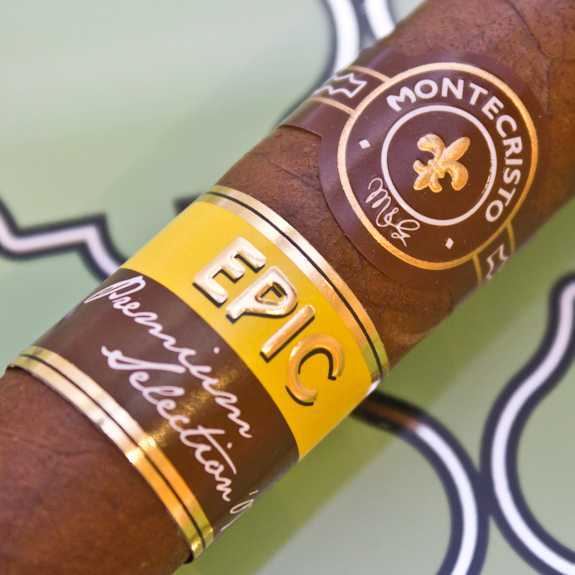 I’d have to say that the Montecristo Epic started out with a lot of promise and excitement but it slowly faded away into a decent, but not overly-impressive finish. I didn’t get the extreme tartness that Tony mentioned in his review and I wonder if the extra age had something to do with that. I ended up pairing it with a Mill Street Brewery Tankhouse Ale which is a tasty and malty American Pale Ale. I think I should have gone with something a little more bold to pair with this cigar though, perhaps some port or nice scotch. 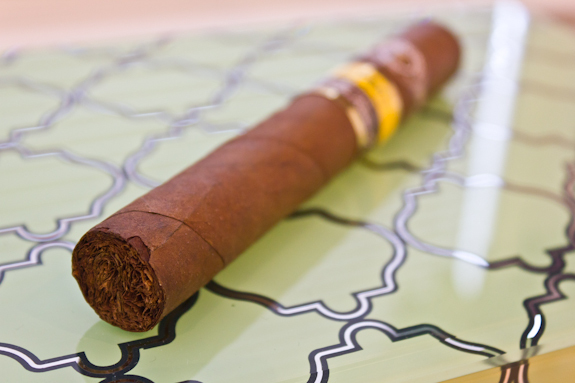 While the Montecristo Epic is one of the better cigars in Altadis Montecristo line-up, it wasn’t quite up my alley. But I do think there is a large group of people this will appeal to so give it a try and let us know what you think! Been wondering what happened to you, pal. I thought maybe you were still iced in and cut off from the internet. While I have nothing against Altadis, and am happy they’re finally making a push to modernize their portfolio, this one doesn’t sound too great, especially at the price point. Which of their lines do you prefer? I gotta say I’m with you for the most part jjo, nothing really stands out in terms of lines. They have a few winners here and there but I can’t claim that I like any entire line. But if I had to choose, the Seija’s Signature was probably one of the best I’ve had from them. But they are so hard to find for me. Hey, Daniel. Hope you can answer a broad question for me. I have kissed many toads along the way in my cigar smoking. I stumbled on to the Epic, and it is the one that I personally have enjoyed the most. Construction, draw, flavor…and the aroma really does it for me! And did I mention the aroma? Well, I have 51 (Churchills) left in the humidor. They will of course be gone some day. I treat myself to 1 weekly so the math is easy to do. Planning far ahead, and here is the question finally, what (in your opinion) is similar to the Epic? I honestly can’t give great answer to this. The cigar itself wasn’t overly unique to me so it’s hard to say if there were any that I found very similar. 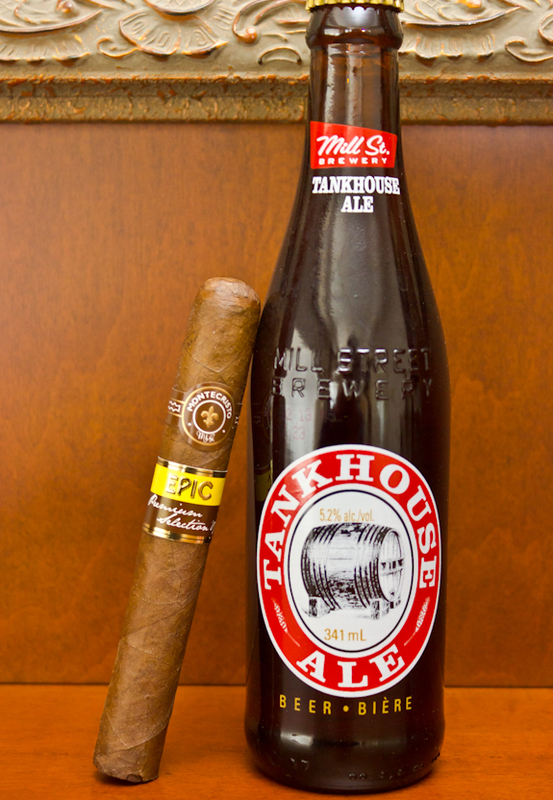 Have you tried a Brickhouse os possibly the Padron Series (like the 2000 or 3000)? I’d say those offered me a much better bang for my buck. 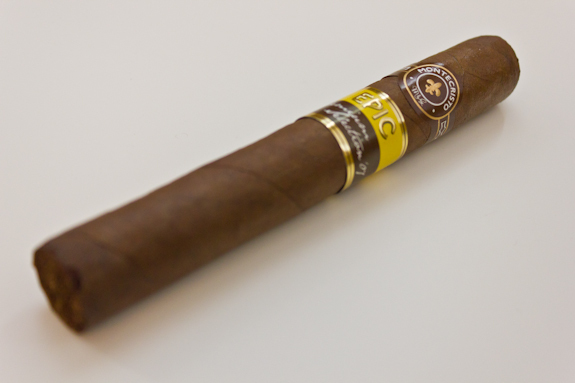 trying to locate the Montecristo Epic Premium Selection ’07. Love the cigar. got a box from Nat Sherman in NY, but have not been able to find any online anywhere. Help!